The rules state that: Once you receive this award you are to list seven of your favorite things and then nominate seven other blogs. 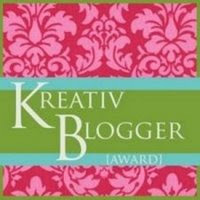 I have nominated blogs that I am falling in love with day by day! UPDATE: Laura at Laura's Reviews and Steph at Hey! Teenager of the Year have re-nominated me for this award - thanks Laura & Steph! Neat learning a bit about you. I'm gonna have to check out your list of interesting sites. Cheers! Wow, your Dad's blog is really good & his gardening projects are impressive.